1. As the Academy / MRC CH-46E kit nears production (the decals are being printed and the instruction sheet being proofed at the moment), a build-up of the production parts by Sherman Collings will appear at the American International Toy Fair, February 15th - 18th, in New York City. 2. Anigrand's 1:72 'Curtiss Wright VZ-7AP Aerial Jeep experimental VTOL patrol craft' was released at the end of January, #AA-2017. 3. 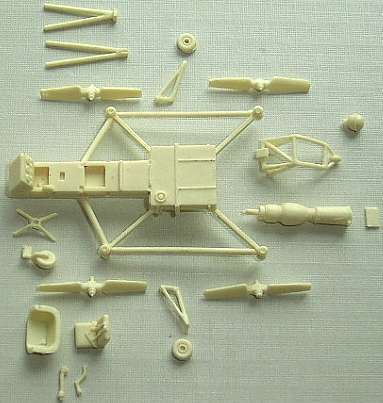 The set of six 1:350 Ka-27 Helix-A is now available from Trumpeter, #06213. 4. Terry Ashley has posted a first-look review of the new Trumpeter 1:35 Mi-24V Hind E at the PMMS site. 5. 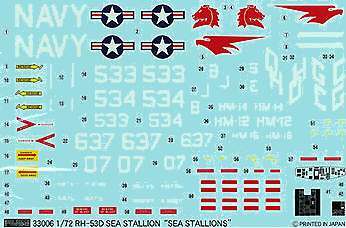 Fujimi are about to re-issue their 1:72 US Navy RH-53D Sea Stallion, as #33006. This edition will have decals to mark it as any of four RH-53D's, two from HM-14, and one each from HM-16 and HM-12. Also coming in February will be another re-issue (or possibly a new-decal-version) of the CH-46D, as #72159. 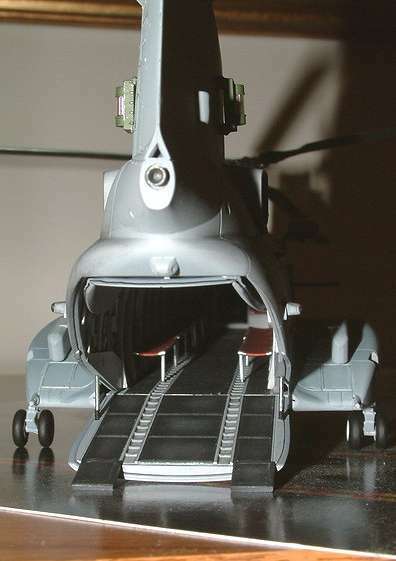 Also notable is a re-issue of their 1:200 North Cormorant oil rig (your humble editor worked for a while on the real thing, back in the mists of time) which of course has a heli-deck that needs to be appropriately populated. 7. 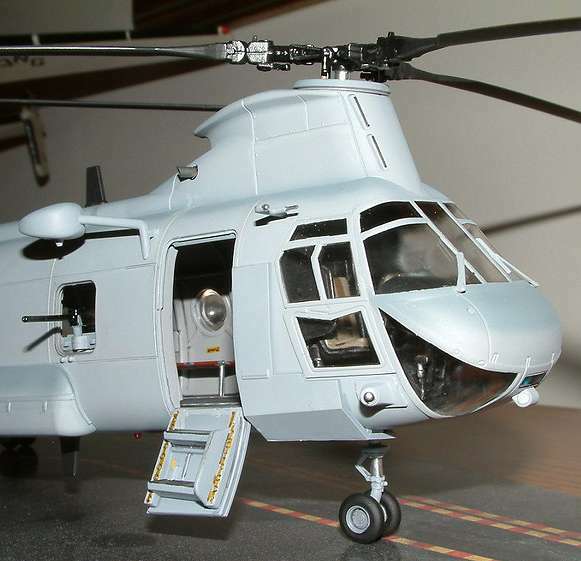 It is believed that the only new helicopter in the Italeri 2004 range will be a long-awaited 1:72 UH-1D 'Slick', based on the AMT/Esci/Ertl mould, as #1247. They will also be reproducing the 1:72 Esci 'NATO Pilots and Ground Crews' set, #1246, hopefully in plastic rather than vinyl this time. 8. Czech Master Resins tell us that they are progressing very well with the new 1:72 R-6 Hoverfly II, having obtained detailed photos of the example preserved at Fort Rucker. If everything goes well the revised release date will be towards the end of February. CMR will be picking up an award for one of their aircraft kits (the Wyvern S.4) in the '1:72 limited series aircraft models' category at this week's Hobby Fair in Nurenberg, Germany, so that bodes well for the Hoverfly. 9. The Ciro 1:72 Mi-17 Weapons Set has been released, #C-016. They seem to be terminating the production of those other Mi-8/17 sets that were designed specifically for the old KP kits. 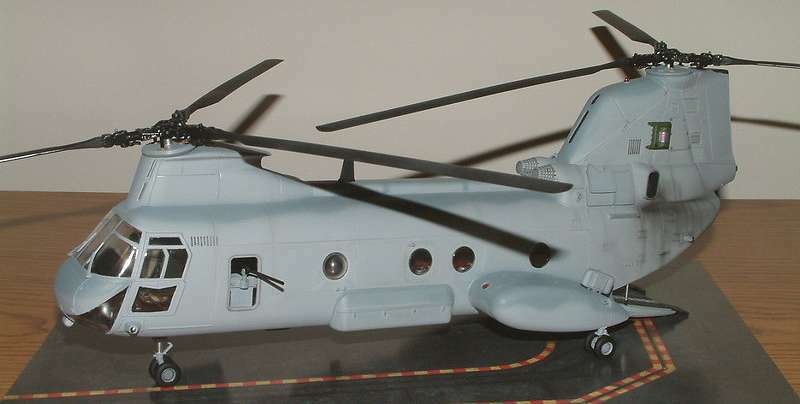 ...and an etched set #48455 for the 1:48 Trumpeter HH-65A Dolphin. A 1:48 detail set for the Italeri SH-60B will be coming from Eduard in the near future. 11. Sky's Decals, from Israel, are planning to release decal sheets entitled 'IDF Attack & Transport Helos', in three scales; 1:32, 1:48, and 1:72. 12. 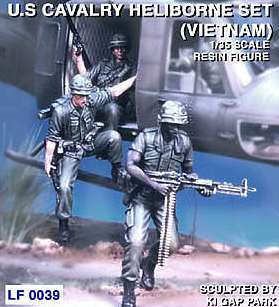 Legend Productions make some excellent 1:35 resin figures, including LF0039, which is a set of three US Army heliborne troops, Vietnam vintage. These are also available separately. Thanks to Sherman Collings, Terry Ashley, and Felix Troschier.